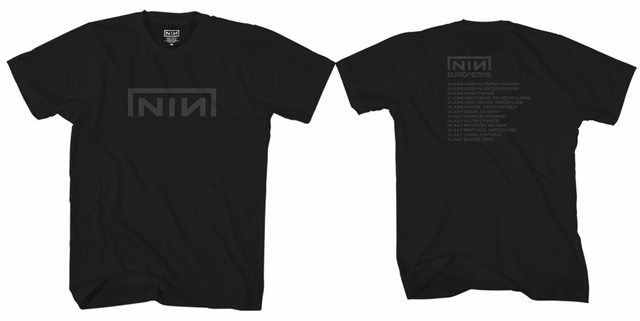 THE PHYSICAL WORLD presale featured location specific t-shirts, a numbered edition poster, a vinyl slipmat that may or may not be new, & additional merch available on NIN.com. Hopefully folks took some merch pics from their events & will share them here. Anyhow, this seems like a decent indicator of what we can expect to be available merch wise for the upcoming tour dates. I hope to edit this with more detail once the tour is underway. 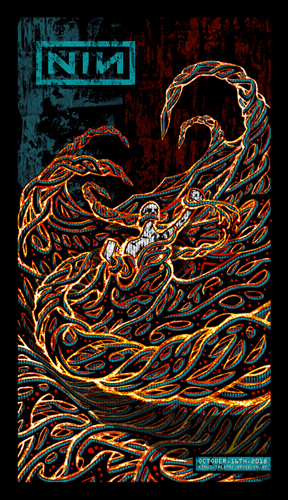 LAS VEGAS - #54 Location specific shirt & poster (with a nightly poster & foil variant). Meltdown: #135 New merch additions since Las Vegas. 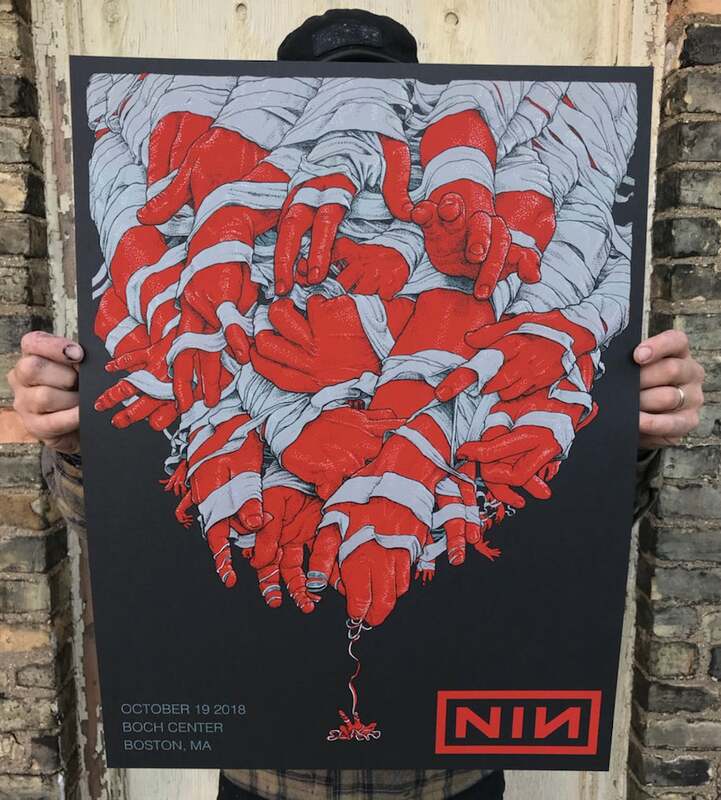 Royal Albert Hall: #153 Event poster. Montreux Jazz Festival: #197 Event poster. Pentaport Rock Festival: #203 New merch additions (muffler towel, tote bag, & crop-logo tour dates shirt). Last edited by FULLMETAL; 12-17-2018 at 03:11 PM. Reason: more links. more farts. more fun. more updates. I have a few shots of basic merch in this fb album from yesterday. On mobile, but my friend in Colorado today got me the NIN logo enamel pin, will post pics. it's really nice. i was really surprised it was only $5 for an enamel pin with a double-post backing. it looks great on my black denim jacket! I hope they do event-specific shirts for the actual shows — the Day For Night and Riotfest shirts from last year were some of my favorites they’ve done this decade and it always makes a show special when you can have a unique keepsake like that. I missed that riot fest shirt... it was sold out before I got their. Wish I had gotten one of those. I realize these will be hard to track down after the events. I was lucky enough to have some friends in other cities and plan ahead for this but I could not organize these cities in time or they missed out on them. I can offer PayPal or trade. I have slipmats and 12" lithos from Physical World or I have many many boxes of NIN merch to trade. If anyone here can help me out I'd greatly appreciate it. Thanks! Last edited by heavenly_bearded; 05-20-2018 at 07:31 PM. Edit: Never mind, they’re sold out again. They bring them back sometimes. Last edited by Nellyrific; 05-20-2018 at 07:06 PM. Can anyone confirm if they had slipmats at some of the locations? I've seen photos posted but didn't see any in Los Angeles... Though I didn't hit up the booth until after I got tickets. I really want one of those NIN logo enamel pins. Anyone get an extra? Otherwise I'm sure they'll make it to the online store and/or concert merch tables later on. Image way too large to embed, NIN enamel pin. I would imagine they'll have them at merch tables at the shows. Actually really good deal at $5, if they have them in Vegas I might get a second one. They had slipmats in Boston. Looking for the enamel pin, litho poster, album flat, and slipmat . if anyone has any spares of the following, please message me so we can negotiate a price. In search of enamel pin, envelope/ticket holder, Bad Witch album flat. If you have extras of any of these you're willing to part with for a reasonable price (AKA not over $50), please PM me! Long shot: Looking to swap NYC large physical world shirt for a medium. https://www.merchbar.com/rock-altern...ns-first-extra The white vinyl version of Bad Witch is back up to preorder. Not sure for how long, but it's up right now. Edit - Just Kidding. Sold out already. Last edited by Sarah K; 05-29-2018 at 10:39 AM. Seconding the above long shot: looking to swap SF Medium Physical World t-shirt for a Large. GF was at LA location and didn't report back any slip mats there (we went to the merch booth early on) - I have seen slip mats and i think Bat Witch Lithos at other events. Hoping both are available at Las Vegas shows. 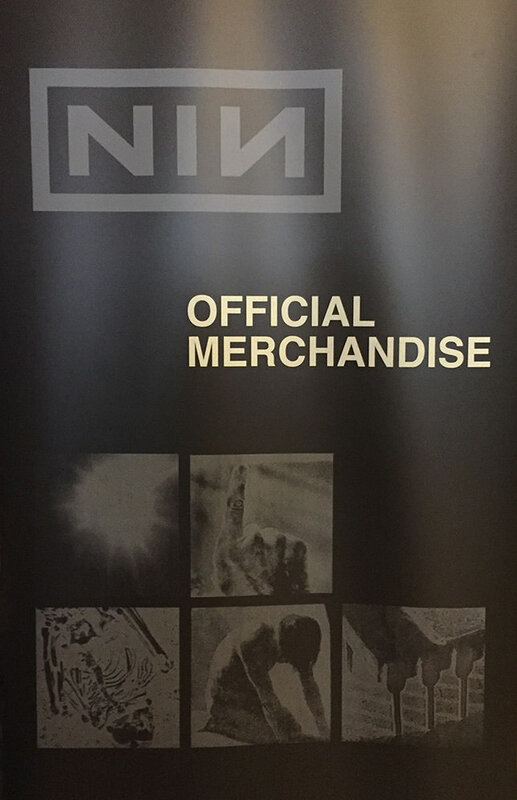 So generally, how much is NIN merch at shows? I would love to get a shirt, but don't really wanna pay $40 for one. Yeesh. I guess I'll just give in if they're really cool. 1. Is this exclusive to this show and is it something I'd wear often? 2. Is it really really soft? 3. 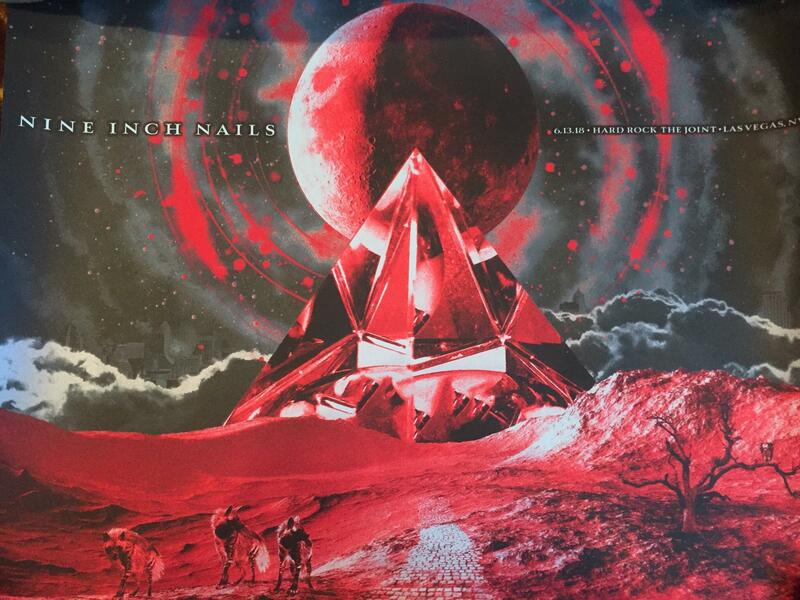 Will S&H from nin.com cost more than buying it here in person? 4. Do I need another NIN shirt? 5. Do I need another NIN poster? So now I have an abundance of totally awesome unwearable tour t-shirts in Size medium that just sit in the closet. Last edited by ManBurning; 06-13-2018 at 12:43 AM. I literally have 10 NIN posters rolled up in a tube. I don't have the wall space. Get an art portfolio book. I have one made by ITOYA. It allows me to flip through it to check out my show posters whenever I want without having to worry about wall space. Also, don't put your shirts in the dryer. Hang dry!